Madison County is in the 24thJudicial District of North Carolina. The 24th District encompasses Madison, Yancey, Avery, Watauga, and Mitchell counties. This is a large district, but we deal with the same group of judges and District Attorneys in each county on a regular basis. The court personnel, Clerks of Court, and other officials in the district can be very helpful and informative, but they cannot give legal advice. The elected District Attorney, Mr. Seth Banks, has demonstrated to me his ability to be a fair and reasonable District Attorney. He has certain policies and practices in place that assist his office with the administration of justice in this large district. I look forward to working with him and his assistants in future years. Criminal court in Madison County may be held on any weekday, but certain kinds of cases are generally calendared on certain days. Two days each month are primarily traffic/criminal days, when most Highway Patrol and certain other officers schedule court to discuss and be available for the cases they are involved in. Two days each month are reserved for other district court criminal matters, such as felony district court appearances, civilian witness cases, and domestic criminal charges. Officers can often be called in or subpoenaed for other days, as well. One day each month is designated as an administrative district court date, and the majority of first appearances and traffic matters are set for this date. The Curtis Sluder Law Firm frequently handles cases in The 24th District, particularly in Madison and Yancey Counties. Some of the cases we regularly represent defendants on are traffic and criminal matters, such as speeding, reckless driving, DWI, and driving on revoked licenses. We also represent many defendants on other felony and misdemeanor offenses, such as drug charges, assaults, weapons charges, and related criminal offenses. The Curtis Sluder Law Firm has focused on traffic defense and criminal law in Madison County for more than 15 years, and was the first law firm in Western North Carolina to have a dedicated traffic practice. We has defended thousands of cases involving criminal offenses, traffic charges, and other infractions occurring in Marshall, Mars Hill, Hot Springs, and all of Madison County since 1998. Contact us to discuss your case. We offer free consultation by telephone. Please call us to see how we can help protect your interests and defend your rights. Even though I expect the district attorneys office in Madison County to be fair and reasonable, the very political nature of DWI makes it a difficult charge to defend. DWI in North Carolina does not get “pleabargained” to lesser offenses. North Carolina Law requires the district attorney to prepare a lengthy written explanation for any change to, or dismissal of, any “implied consent” (alcohol- related) charge. This long written form is then filed as a public document that the “courtwatchers” have access to and keep tabs on. Of course, this means that as a practical matter no elected official is going to make any modification or dismissal of a DWI charge except in the most rare circumstance. Therefore, when you are charged with a DWI, you can expect that the case is going to proceed “as charged”. You will either be found guilty, or not guilty, of what you are charged with. If you received a traffic ticket in Madison County, NC- do not pay it online until you speak to a qualified traffic attorney. See more here. 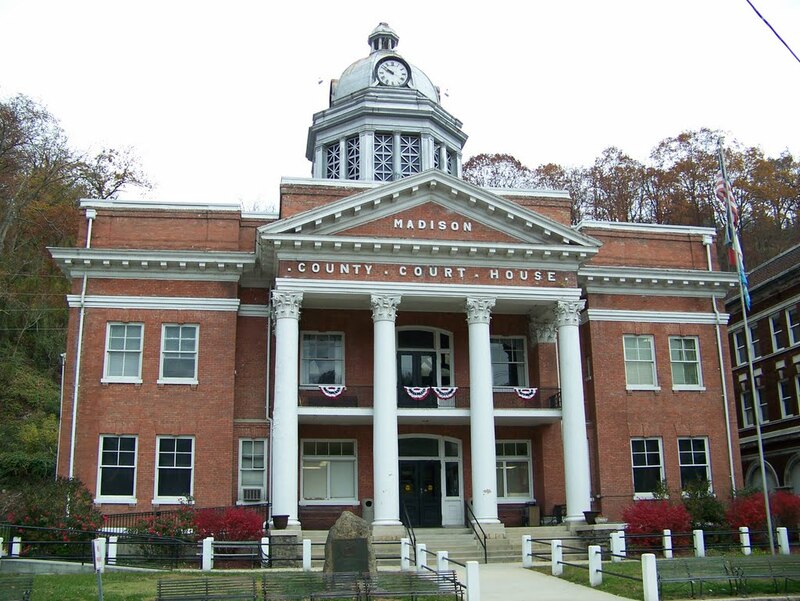 Traffic cases in Madison County are usually scheduled for a session of Administrative Court. There is no consistent schedule in Madison County, and administrative court may be held on any day of the week, as periodically scheduled. We represent most traffic cases by written waiver, which means we inform you of the likely options for your case, possible outcomes, our plan of action in your case, and you allow us to go to court on your behalf, meaning you do not need to take a day off work in order to attend court to handle your traffic cases. This is especially important for persons who were ticketed while passing through western North Carolina, as well as residents with other obligations. Rest assured that your presence is not necessary, though, and if things do not go as we planned in court, we will continue the case and contact you about any new developments that may have arisen. Representation in traffic matters usually incur a fee from as little as $100, and we typically save you far more than that by preventing possible insurance increases. Non CDL Drivers are concerned with driver license points, of course, but we understand that the bottom line for most drivers is in the pocketbook- We go over all available options with each client, and try to find the best cost saving option to prevent insurance increases. Different options may be best suited to different clients, depending on their family, other drivers on the policy, prior record, and the amount of driving they do. If you have negative prior entries on your driving record, we may need to come up with creative options to keep you licensed and minimize your insurance. Our extensive experience in Marshall, Madison County representing traffic defendants is your best bet for keeping your insurance rates low. Typically, a district court criminal case in Madison County begins in one of 5 regular sessions of district court each month. 4 sessions are considered regular criminal sessions, and one is an “administrative/traffic” session. Different judges preside in each regular sessions of district court on a rotation. Unless we represent you by waiver, or have told you otherwise, defendants should be in court by 9:00 for calendar call. The District Attorney is usually available to speak with unrepresented defendants before the calendar call. If this is the case, there will be a line of people waiting to speak with him. If our firm represents you, just have a seat and do not stand in line.